Catharine Chase's entire life is built on a secret. In 1972, at the tender age of 16, she got pregnant. An embarrassment to her parents, Catharine was exiled to a maternity home to carry out her pregnancy far away from the watchful eyes of their tight-knit community. What they didn't tell her is that she wouldn't be allowed to keep her baby. With her daughter's screams still echoing in her ears, the medical staff told Catharine she'd move on with her life and have more children, they promised she'd forget. But they were wrong. Catharine never forgot Emily. And when she and her husband, Paul, learn that they can't have children, she risks her job, her marriage, and her family's reputation in a desperate attempt to find the daughter she never wanted to give away and reclaim her only chance to be a mother. Held me to the very end! Yes, it was an excellent book! The writing was easy to follow, yet captivating. And, very believable. You become very involved with all of the characters, understanding and wanting to side with each of them, knowing how each must feel. The ending! And, that's all I am going to say but not what I expected. What does Brooke Boertzel bring to the story that you wouldn’t experience if you just read the book? I liked her reading, creating a voice for each character. Yes, there were many times I would sit in my driveway or the parking lot at work because I couldn't stop at the place I was at. Read it or listen to it -- it's worth it! I recommend this book to moms and non-moms alike. It is a powerful, emotional, and beautiful story about the bond a mother has for her child and also the difficult topic of adoption. I felt as though I was Cate as I listened to her story unfold. It didn't end the way I anticipated it would, yet I was still totally satisfied with the ending! What about Brooke Boertzel’s performance did you like? The emotion in her voice literally brought me to tears (especially in one particular scene, but I don't want to give anything away by saying which one). Yes! I only listen to audiobooks in my car on my way to work (my "kids free" time)....I actually couldn't wait to go to work each day so that I could continue to listen. 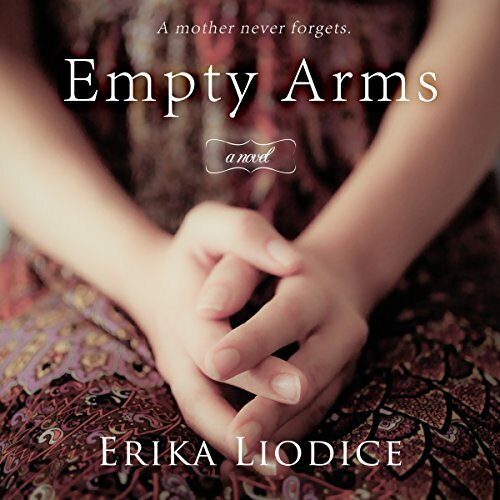 It is so hard to believe that this is Erika's first novel! It makes me anxious to see what is next for her. Wonderful book, beautiful story and the spot-on narration! Very impressed indeed!